Today, I really wanted to combine the Spiritual meaning of this day with real-world significance. We are celebrating the birth of God's Son, a joyous occasion for all mankind. Yet we are in a world of hurt. People's spirits are lagging and there is much to mourn. But that is not what this day is about! It is about HOPE! I searched for something new to illustrate this message, and instead, came across something old that captured the essence of what I want to convey. Henry Wadsworth Longfellow is an American poet that most of us may remember from long-ago American Literature classes. While you might think that he could have no relevance for our modern world, I'd like to tell you his story: On Christmas Day, 1864, Longfellow wrote the words to a poem he titled, I Heard The Bells On Christmas Day. When Longfellow penned the words to his poem, America was still months away from Lee's surrender to Grant at Appomattox Court House on April 9th, 1865; and, his poem reflected all the years of the war's despair, while ending with a confident hope of triumphant peace. Longfellow's poem was written from the same despair and grief that our nation is currently experiencing. He wrote the poem after suffering through the tragic death of his wife, Frances, and the crippling injuries of his son, Charles, from war wounds. I couldn't help but see the parallels to the Connecticut tragedy and my recent visits to Fort Sam Houston. The first Christmas after Fanny's death, in 1861, Longfellow wrote, "How inexpressibly sad are all holidays." In 1862, a year after the incident, he wrote on Christmas Day, "I can make no record of these days. Better leave them wrapped in silence. Perhaps someday God will give me peace." But that next year brought more tragedy, when his son was paralyzed in the Civil War. His journal entry for the Christmas of 1863 is silent. Can we not all identify with what he must have been feeling? But in the spirit of hope that Christmas symbolizes, Longfellow would rise from his abject misery to compose one of the most inspirational poems of any era. 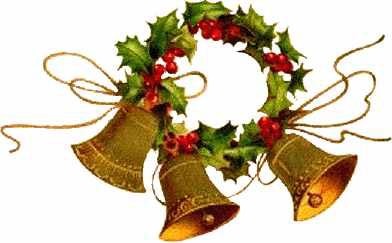 Longfellow's Christmas Bells loudly proclaimed, "God is not dead!" Even more, the bells announced, "Nor doth He sleep." It is a message that needs to be heard in the hearts and minds and souls of all mankind. So, on this Christmas morning, I urge you to read the words of the poem and take them to heart. I have included all the original stanzas of the poem, which refer to the pain of the Civil War, and which might just as well be speaking to our division and strife today. But that is not what we should take from this poem. Remember, that in the midst of his pain, sorrow, and tragedy, Longfellow could not deny that the Living God exists. Merry Christmas! And, may the Prince of Peace grant you His peace! "God is not dead; nor doth he sleep! With peace on earth, good-will to men!" Postscript: Merry, Christmas, Ben! It's been one year ago today since you saw the face of our Savior! We miss you, but your story gives us such hope. Glory to God in the highest! Because of and through our Saviour, I wish you and your family a "Merry Christmas". May your New Year be prosperous in spirit if not materially. I appreciate so much your writing. It is sensical in a nosensical world. It has become a first read each day. May our faith continue to catch up to what Longfellow discovered. Merry Chistmas to both of you. May the Lord's Blessings be upon you. Thank you for posting this. I had totally forgotten this from high school english and poetry class. Christian, Conservative, American woman. I am awake and aware of the state of my country, and am determined to stand up for what I believe in. I will boldly proclaim the Truth of my Faith, and share the journey that my Lord is taking me on. I am not afraid to challenge old OR new belief systems, always using the Holy Scripture as my guide. I am firmly committed to being "in the world", but not "of the world". There is a purpose for my life, and I am determined to fulfill it. Join me on this journey in this crazy world, and let's see where God takes us! You can email me with topics you'd like to see discussed, or with your own tips on salvation and survival. All posts © Belle Ringer and SalvationandSurvival.com.. Picture Window theme. Powered by Blogger.